The business press over the last week has provided an interesting insight into a fundamental question businesses are asking themselves repeatedly. New social groupings, the mobility and inter-connectivity offered through digitisation and stagnant economic conditions etc. has allowed or forced companies to ask ‘what business are we in?’. Over the last 10-15 years fewer companies see vision and mission as sacrosanct as before. It’s not that they completely change each of them, but they are seen as a guide to refresh, not everlasting. BP became an energy business, not an oil company, Facebook is looking to branch into a formal news channel, Google’s looking into driver-less cars, Amazon is a logistics business, not just an on-line retailer and Tesco is or was ubiquitous. If a company sticks to a traditional interpretation of their business, not only will growth be potentially limited, but complacency and stagnation will result – and perhaps more importantly customers won’t receive new innovative ways of meeting their needs. As companies open their minds to the possibilities there are two rules to apply which may help open up opportunities. Firstly, don’t ask yourself the question at the beginning of a strategic planning process, look at the market and your competences first before discussing what it means for the scope of your business. Deciding too early puts the blinkers on and frames the planning into traditional routes. Secondly, be creative but not fanciful, there are many possibilities, but clearly they need a focus applied to what’s achievable. 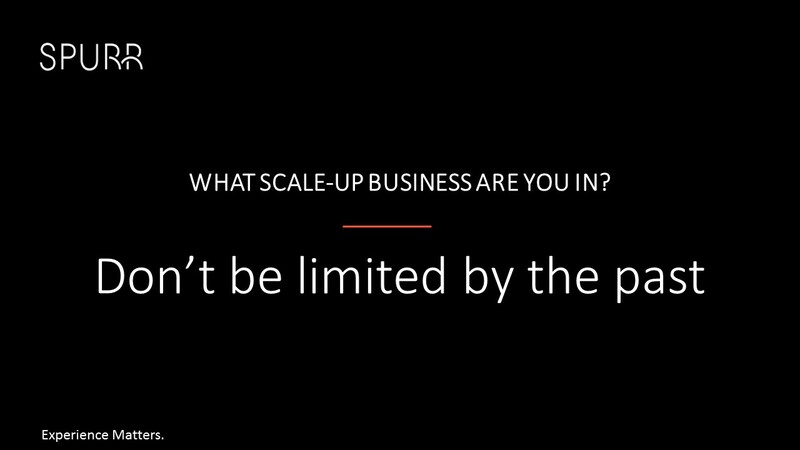 This is not the preserve of big corporates, scale-ups can also reach their full potential by not just assuming that tomorrow will be what they are today.